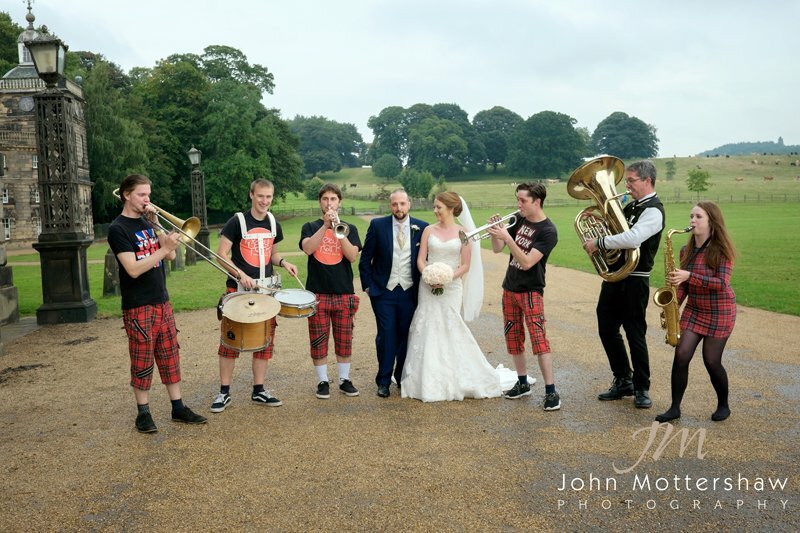 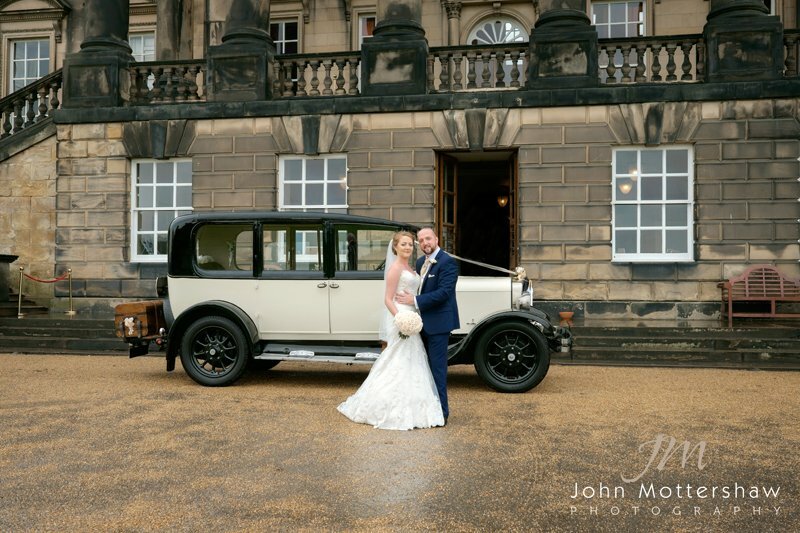 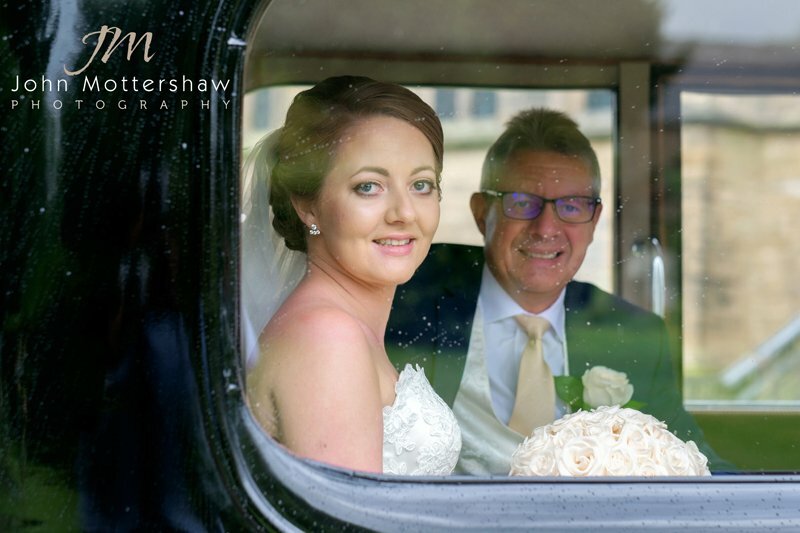 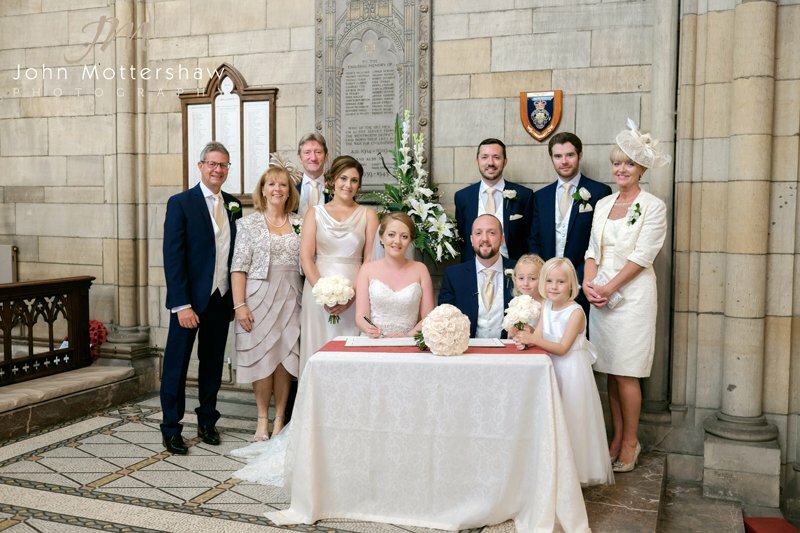 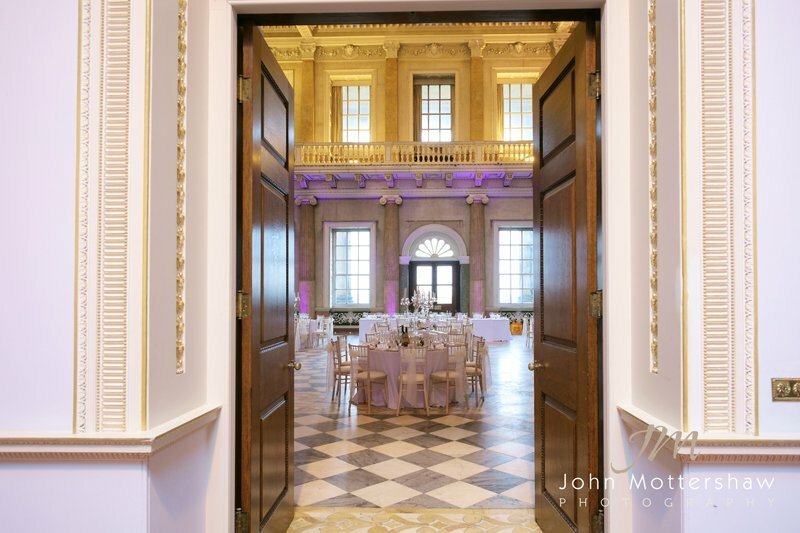 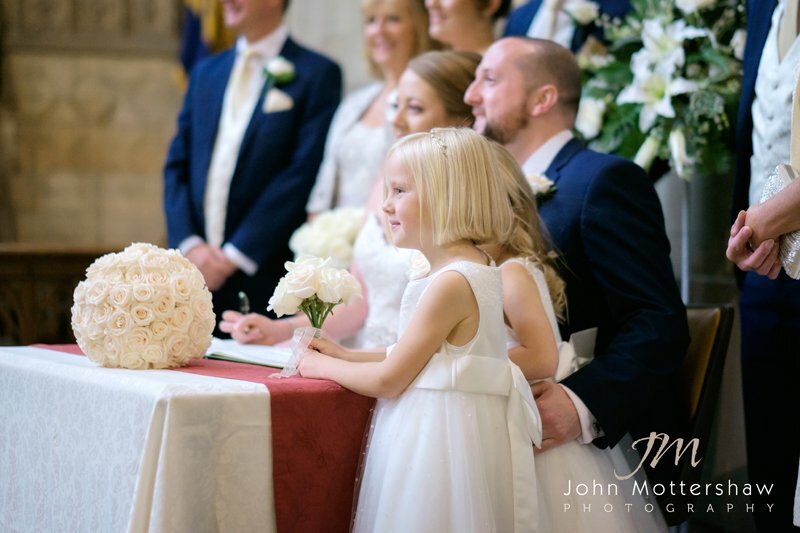 I was delighted to be asked to provide John and Jess’s Wentworth Woodhouse wedding photography for their big day. 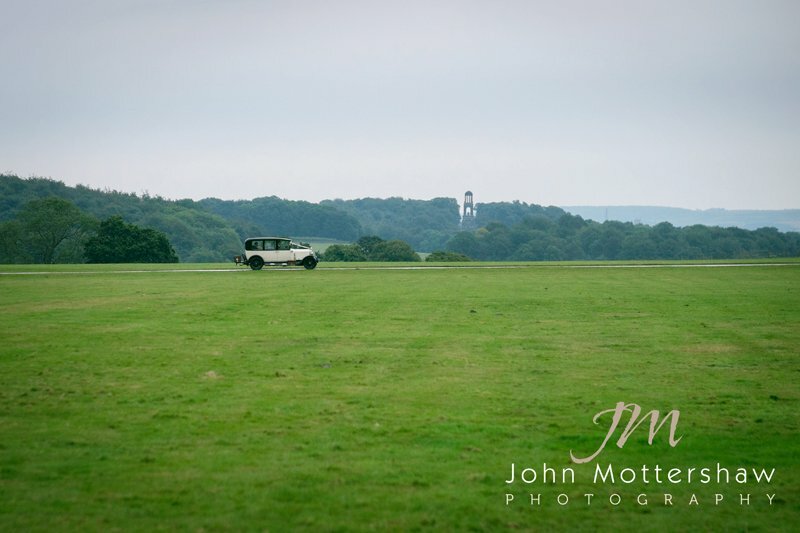 Its a stunning location with wonderful views over the countryside. 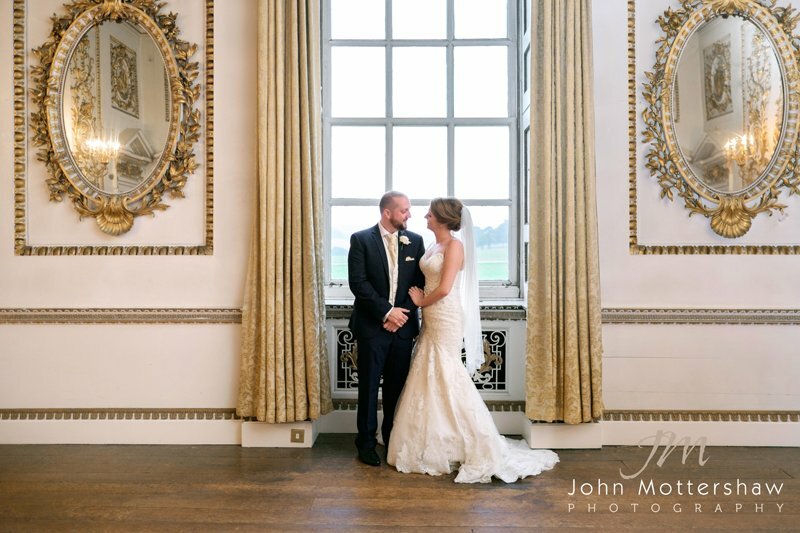 As I am a Sheffield wedding photographer I often travel to very grand venues throughout the county, but this is truly one of the most spectacular. 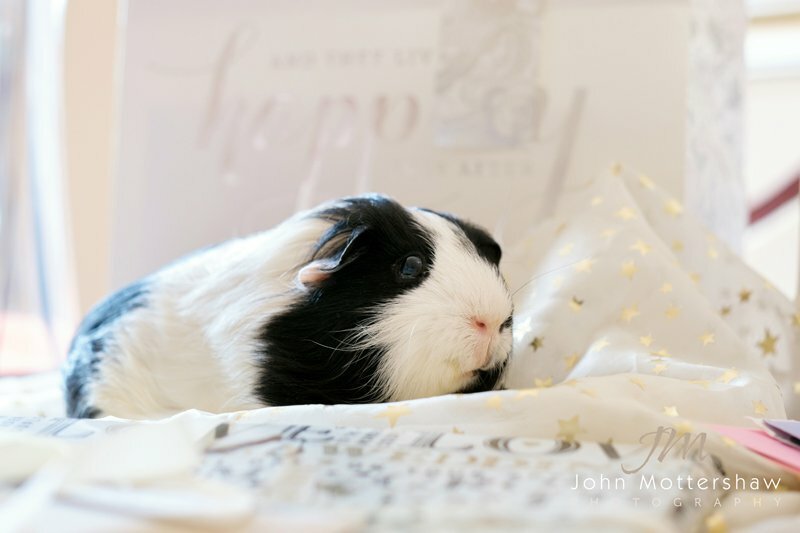 Jess got ready at the family home where even the family guinea pig wasn’t left out of the photography! 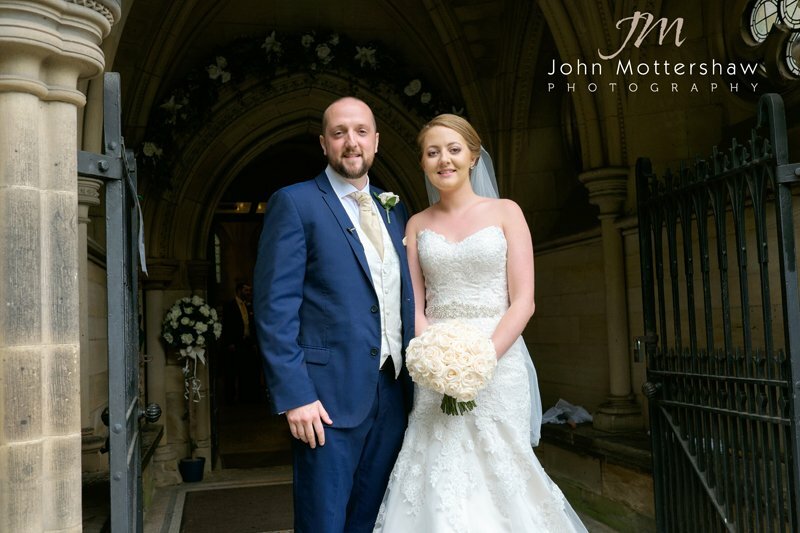 I headed over to meet John for their Wentworth Church wedding ceremony. 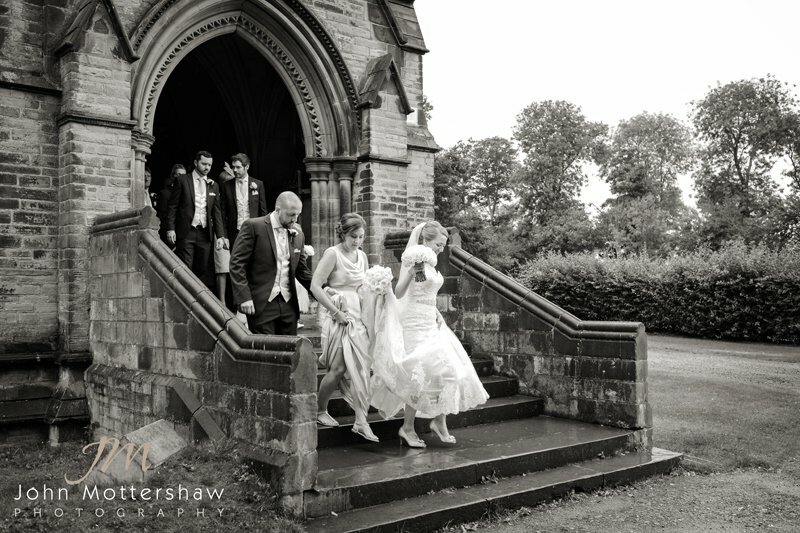 The church is a large and rather fine building, and we waited expectantly for Jess to arrive. 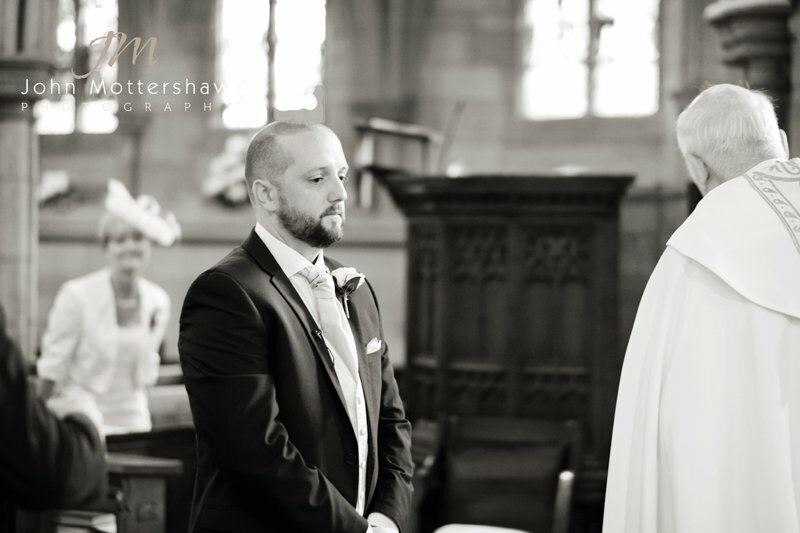 The ceremony was heartfelt and moving, and very enjoyable to watch. 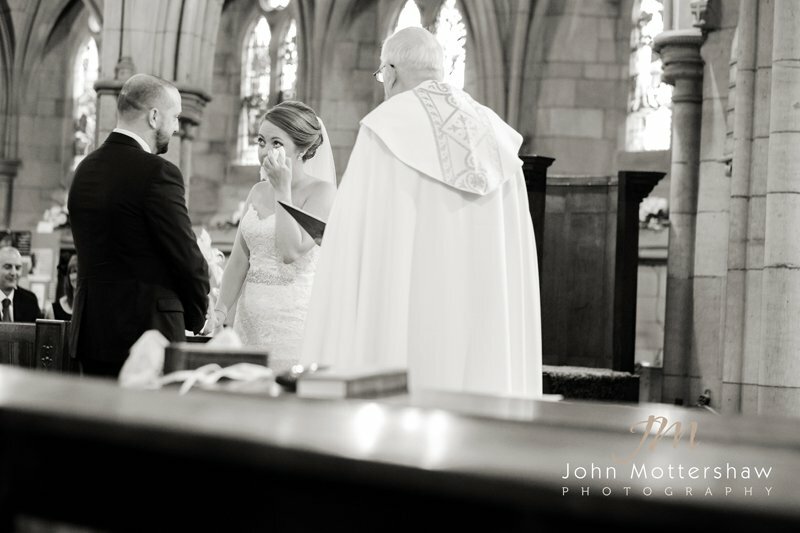 There were a few tears of happiness throughout the church, as well as from Jess! 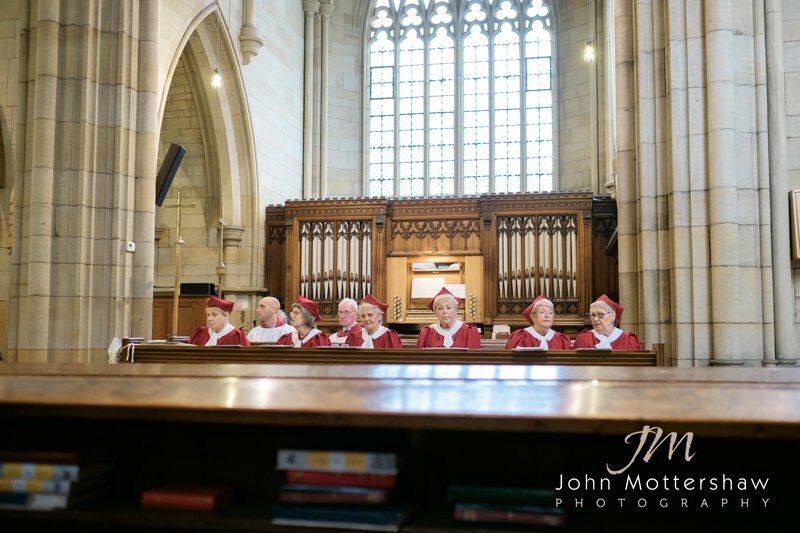 We were also treated to wonderful singing from the choir. 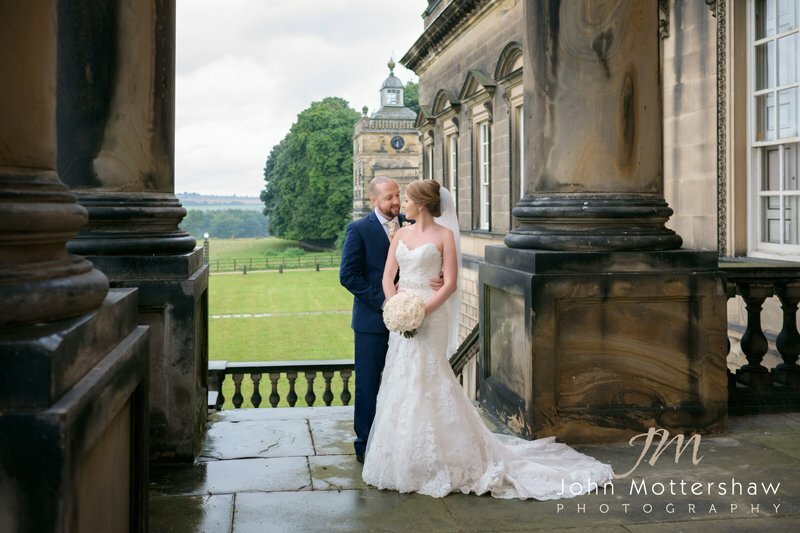 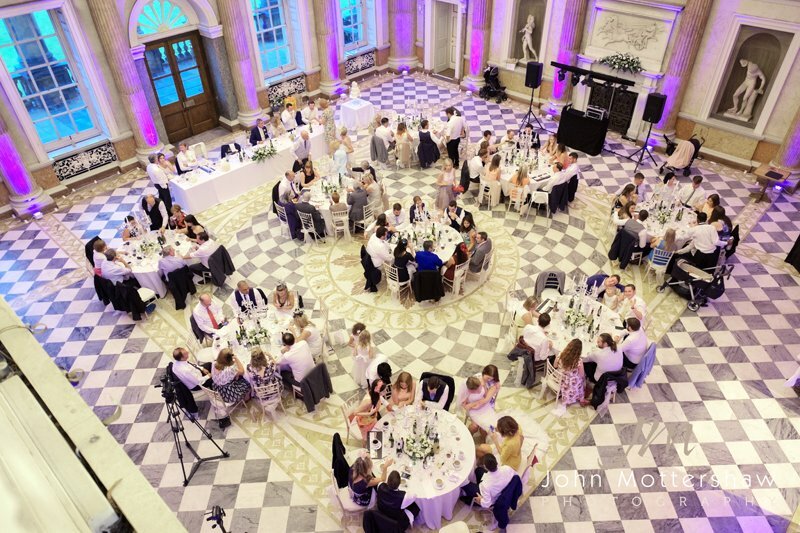 After the ceremony we headed over to the Wentworth Woodhouse wedding reception. 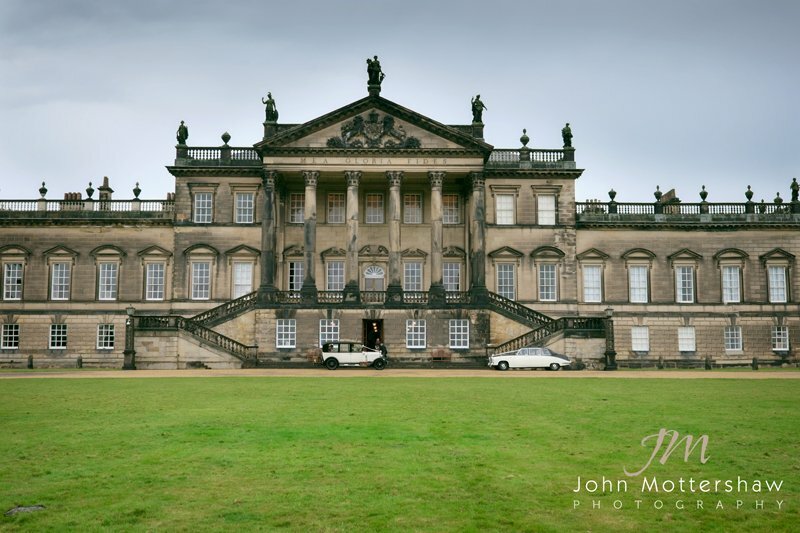 Driving through the parkland, a sharp intake of breath is inevitable when you are suddenly confronted with the breathtaking view of this astonishing house. 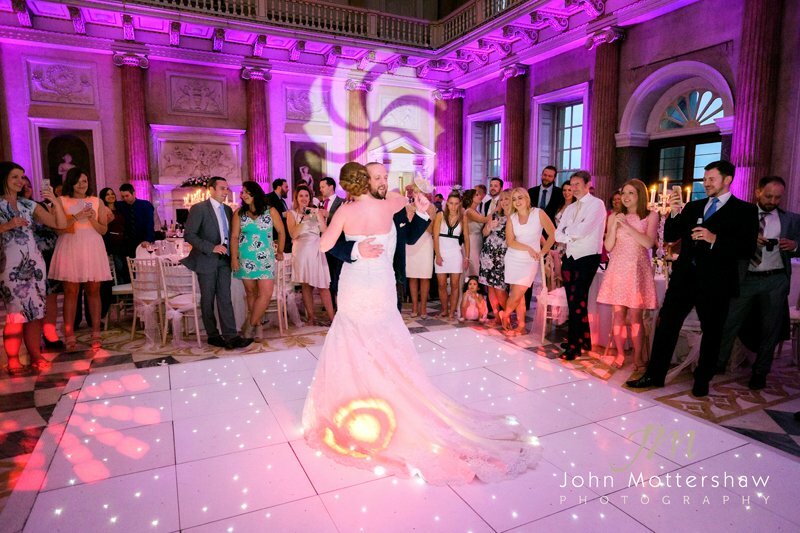 Jess and John knew as soon as they saw the venue it was right for their special day. 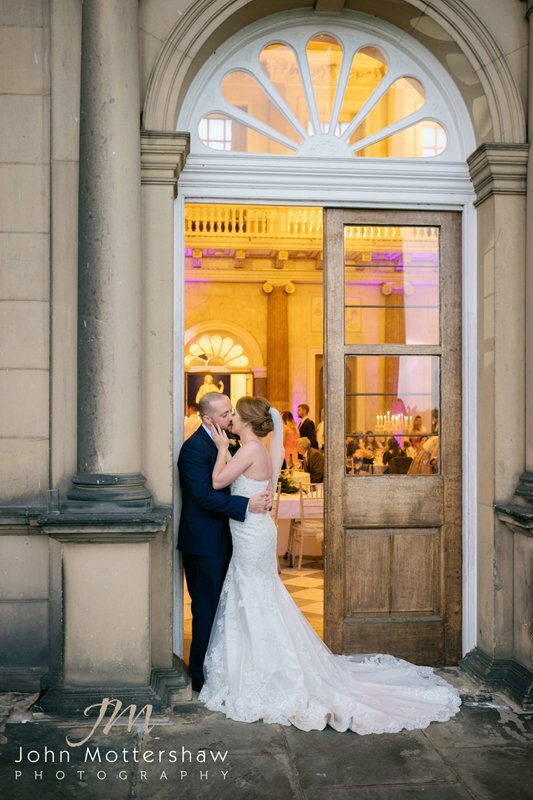 I think you can see why! 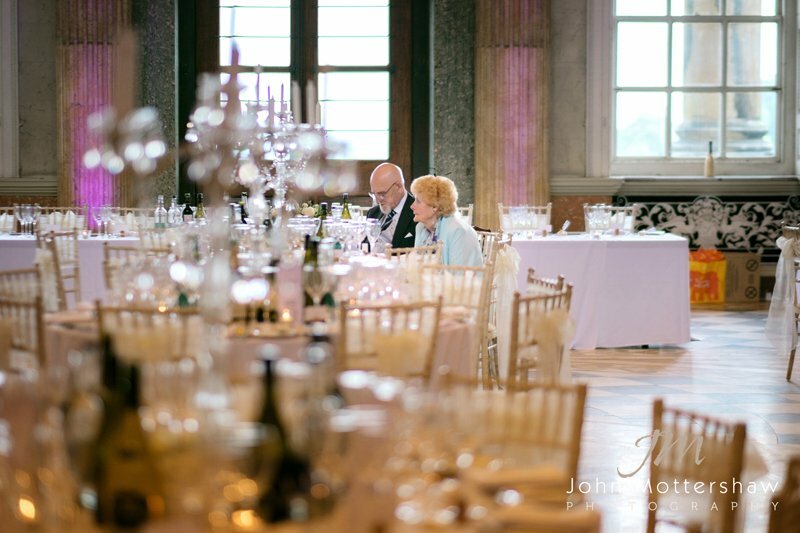 The reception was beautiful and very personal, a very “people” wedding with people who obviously care very much about the happiness of the bride and groom. 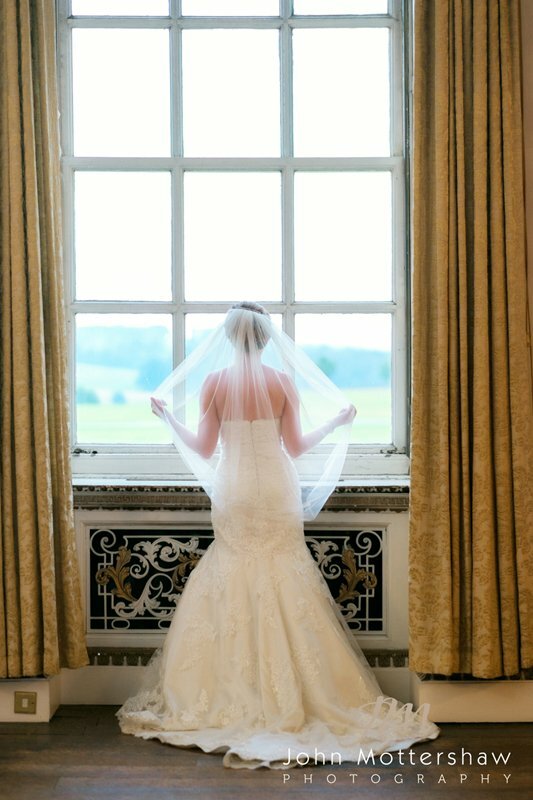 During the reception we took a few moments for some relaxed and natural wedding photos on the terrace and next to the beautiful windows. 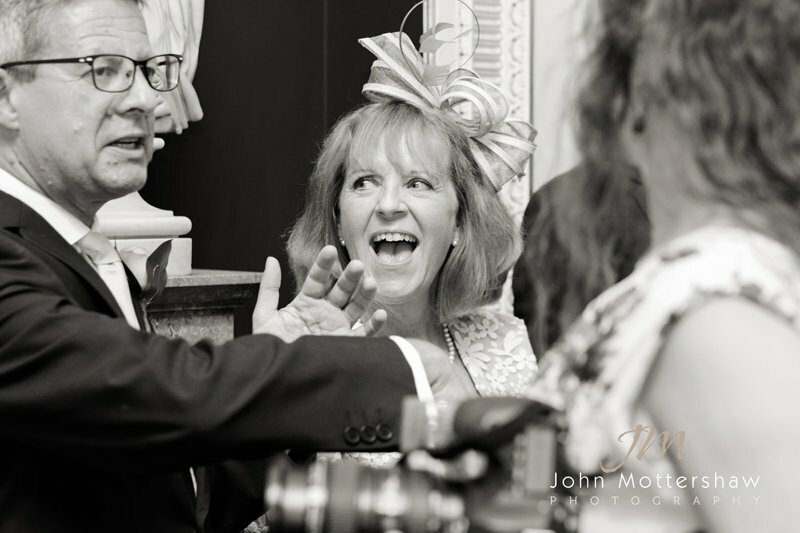 It was then time for the cake-cutting and dancing! 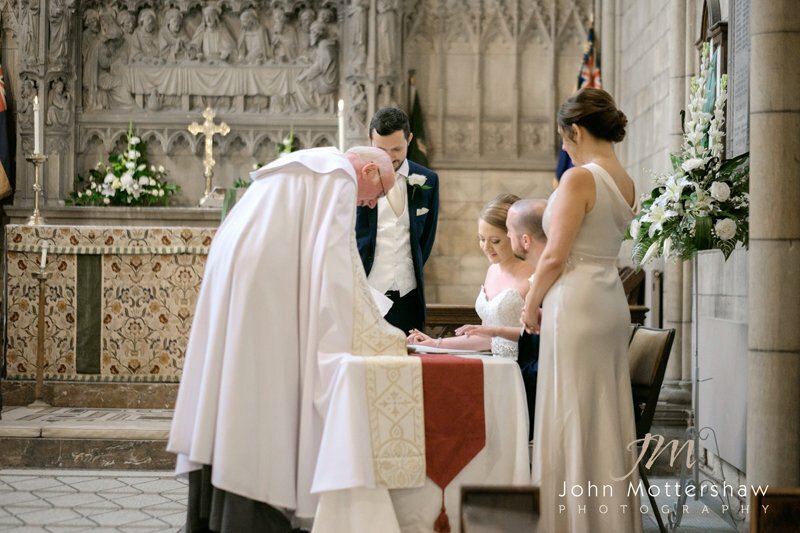 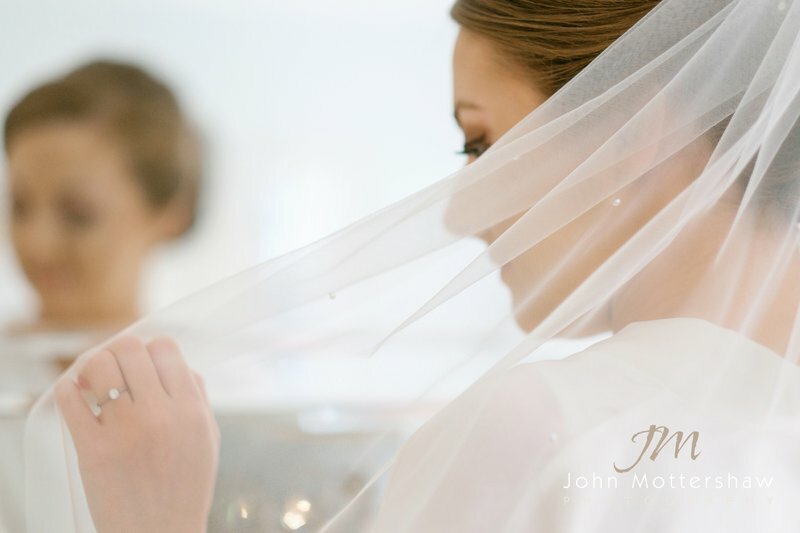 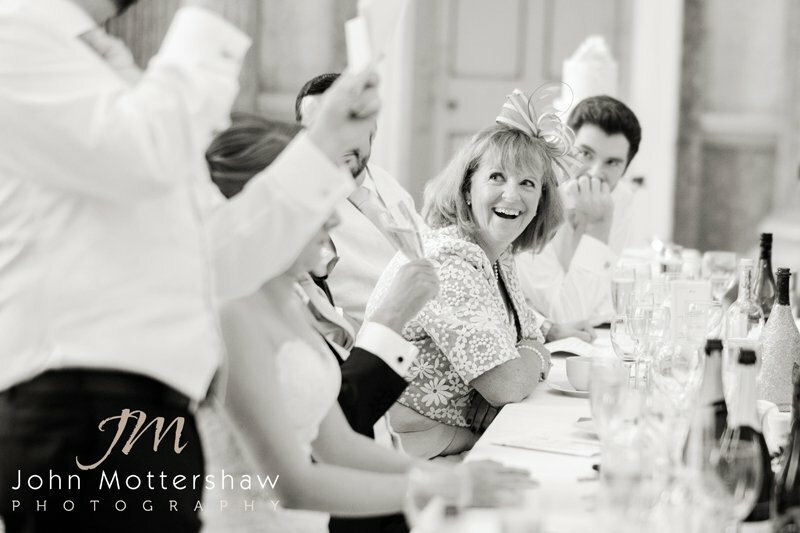 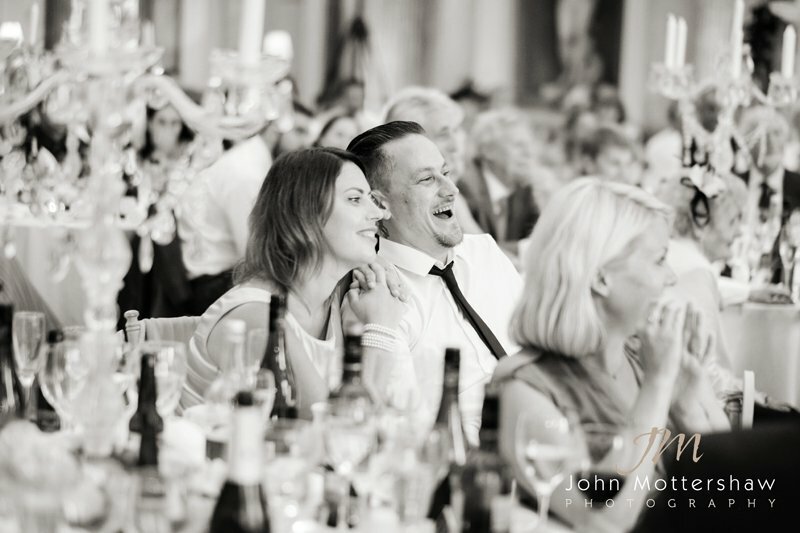 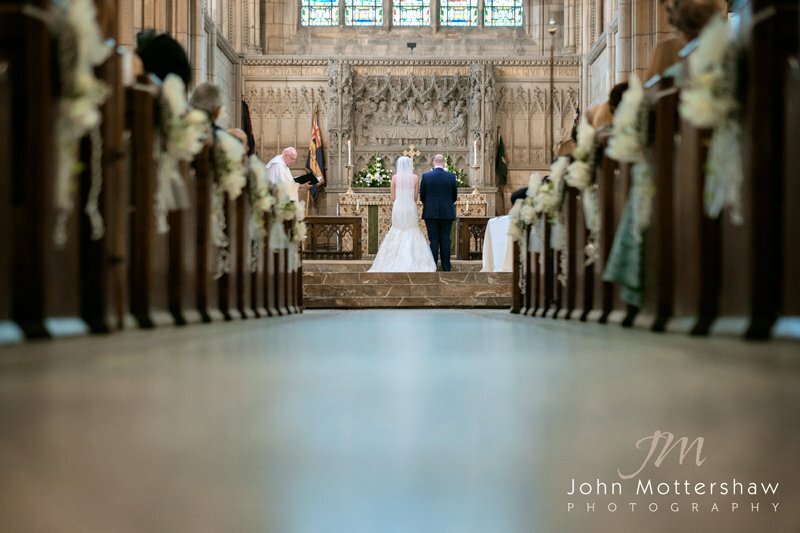 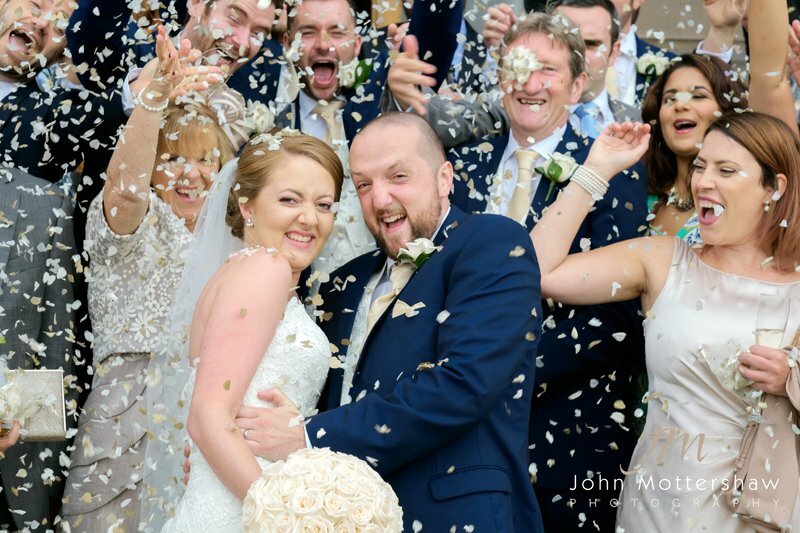 John and Jess – you were a joy to work with, and I hope that I did justice to your beautiful wedding. 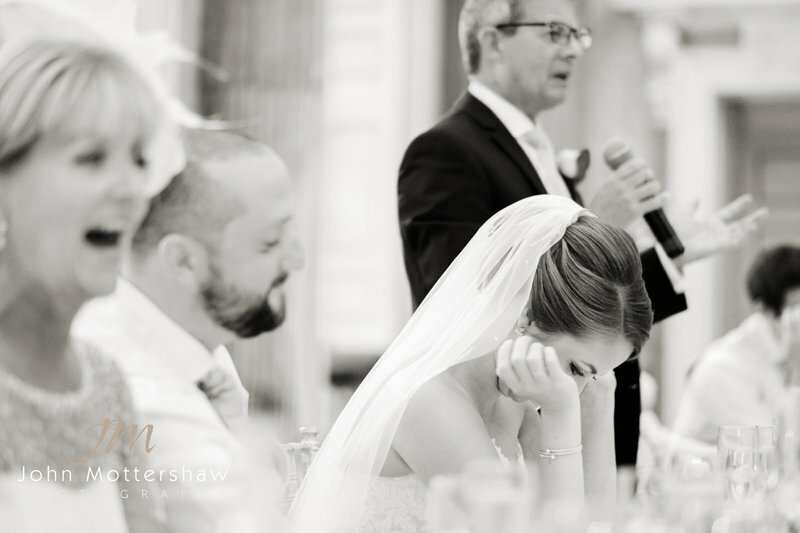 Thank you for everything and I really wish you both a wonderful future together. 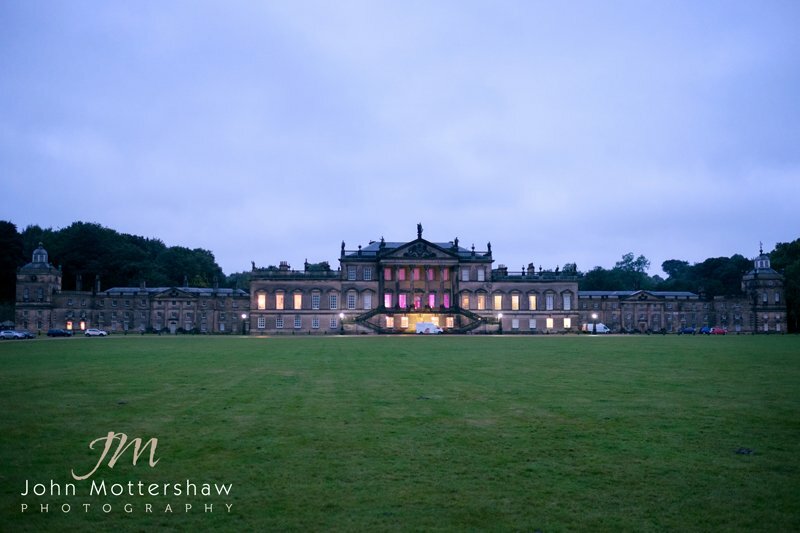 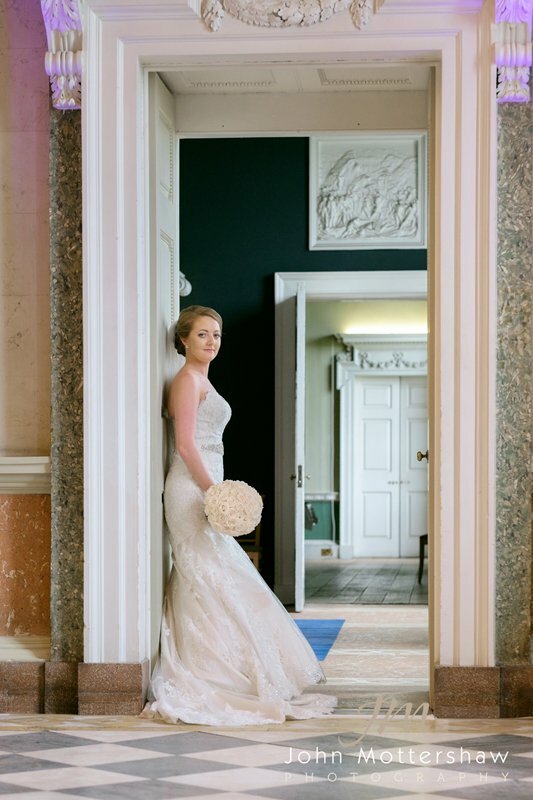 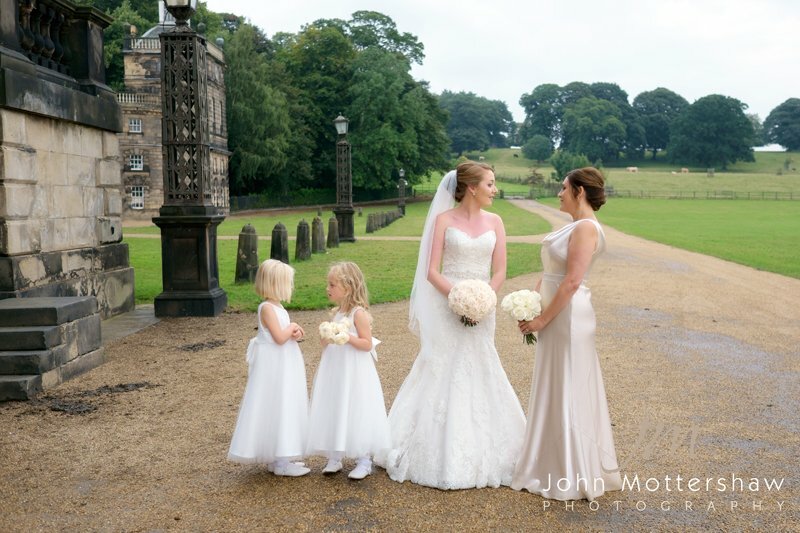 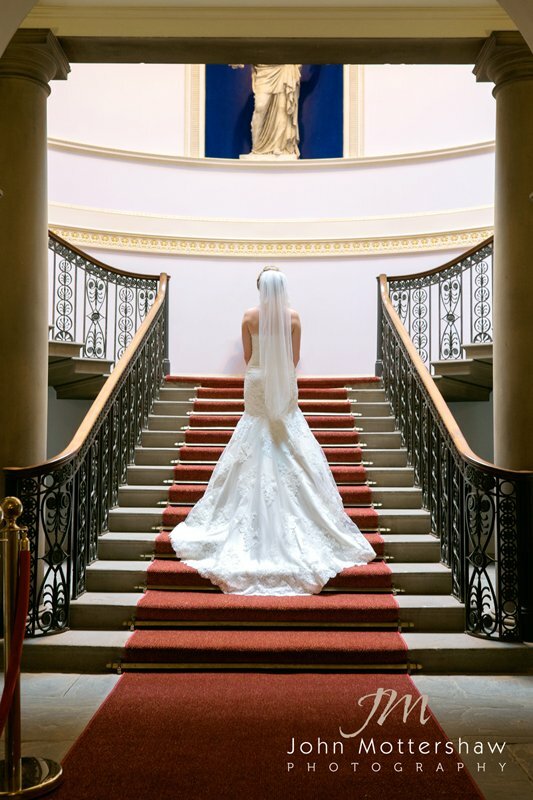 If you are looking for a Wentworth Woodhouse wedding photographer for your big day then please get in touch. 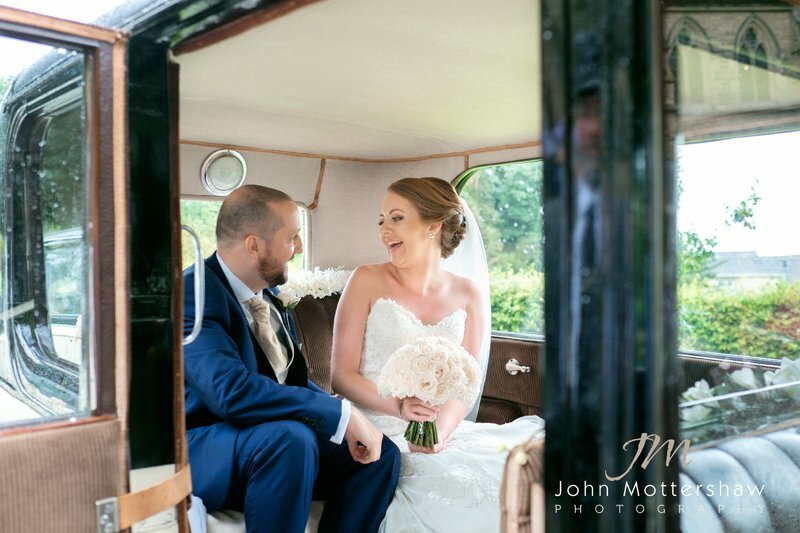 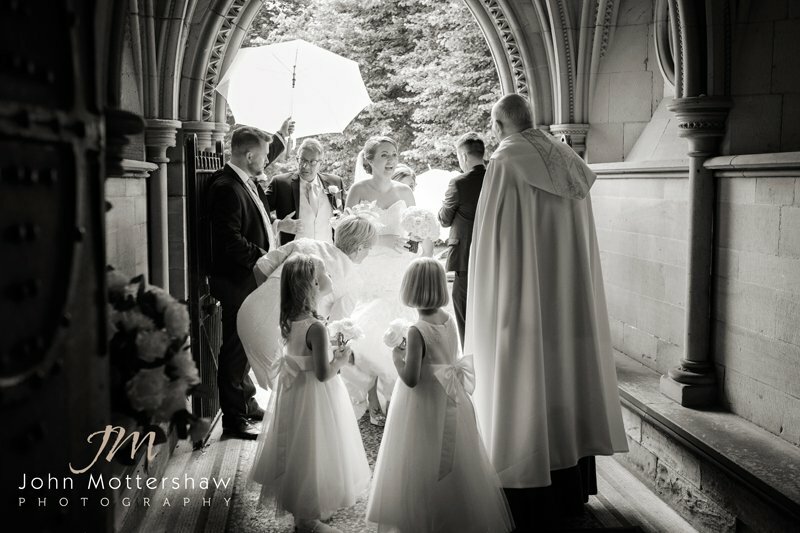 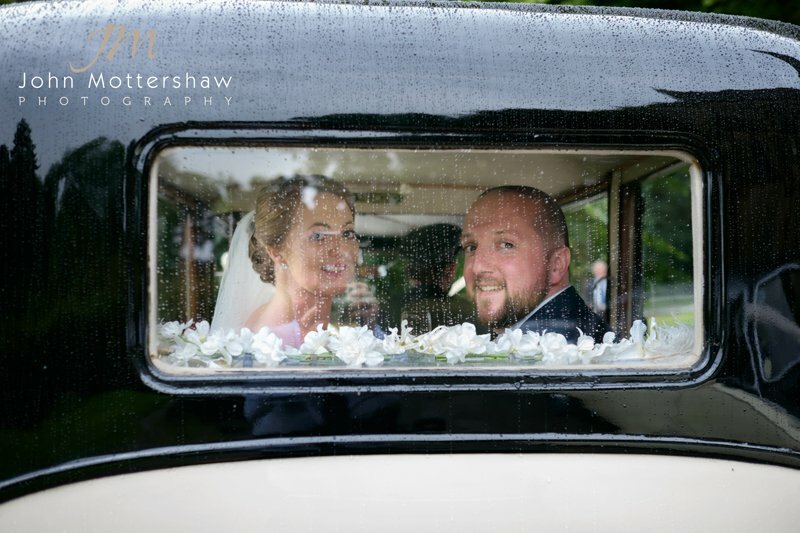 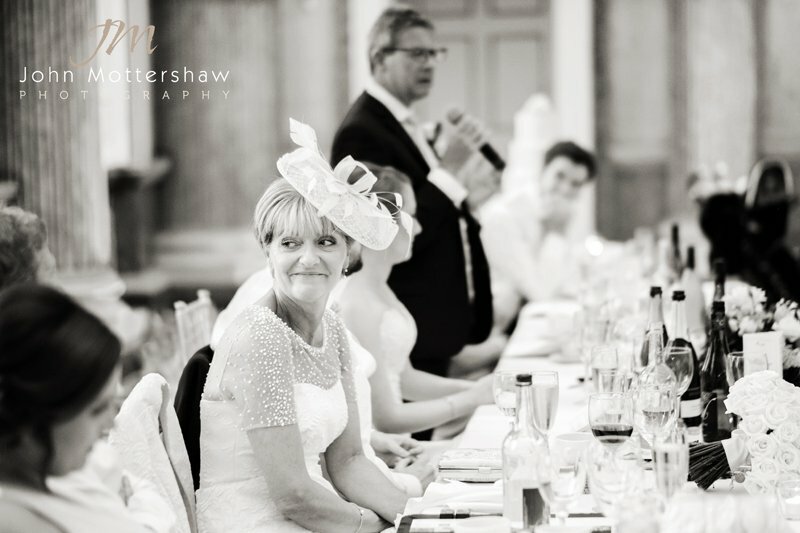 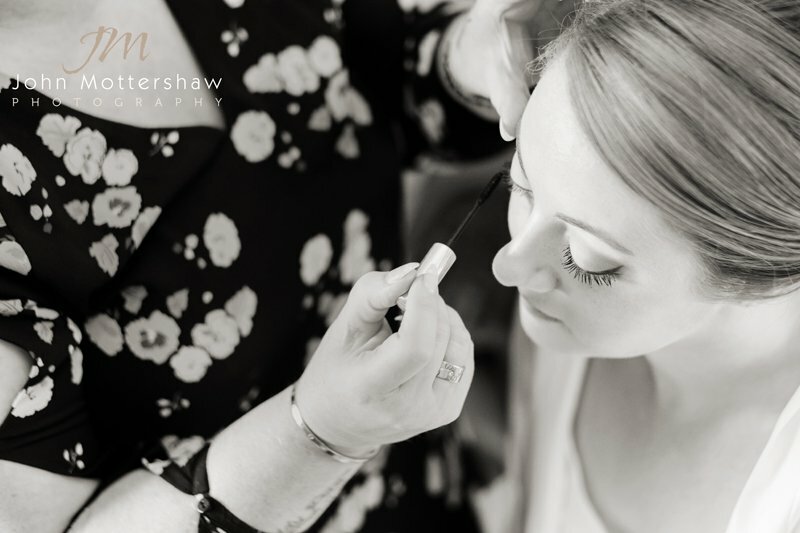 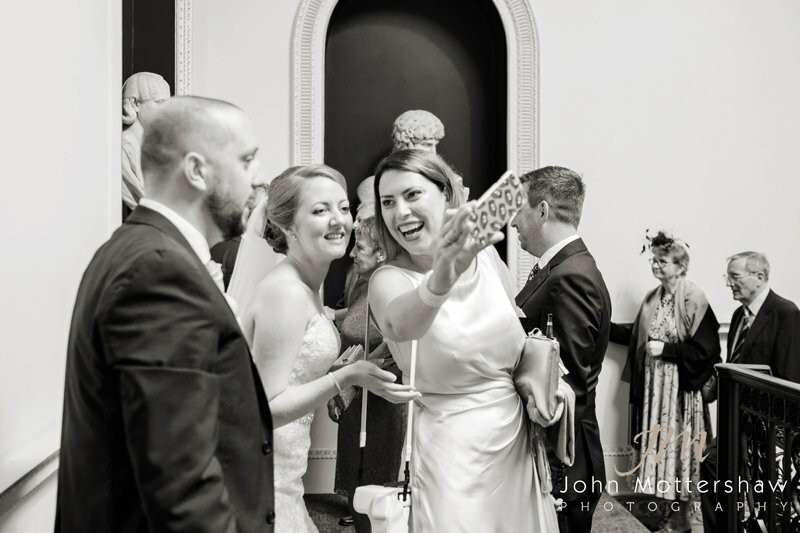 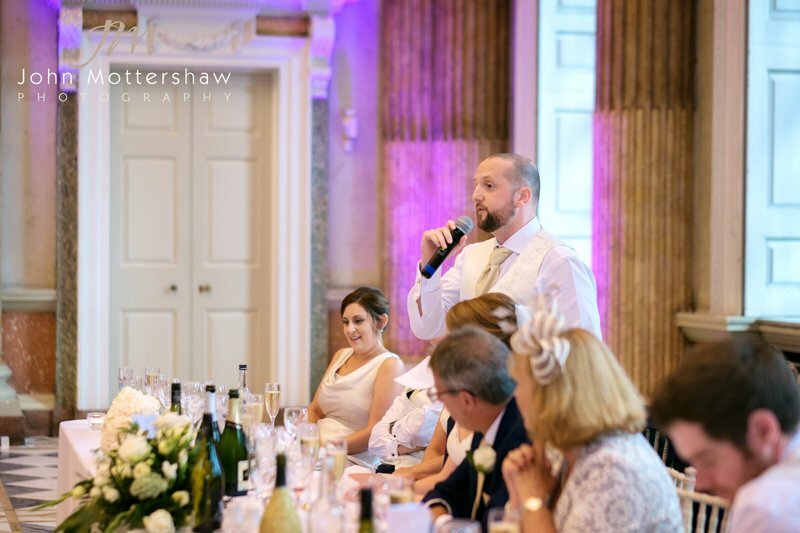 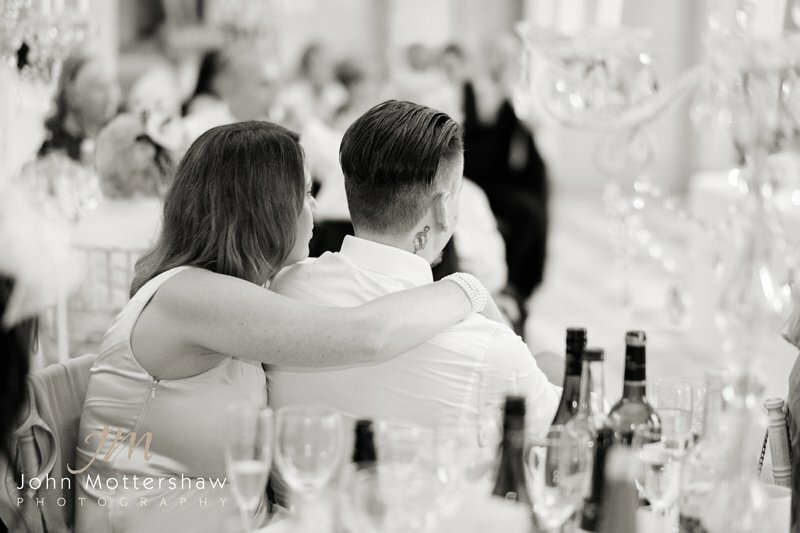 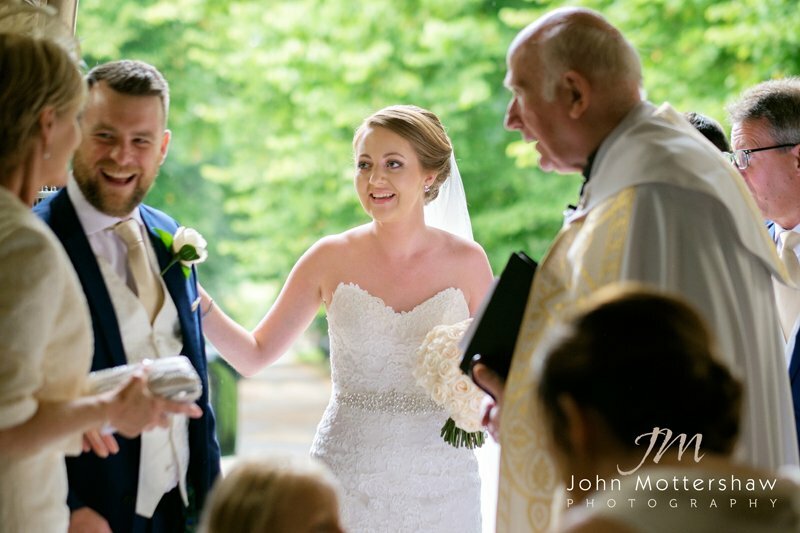 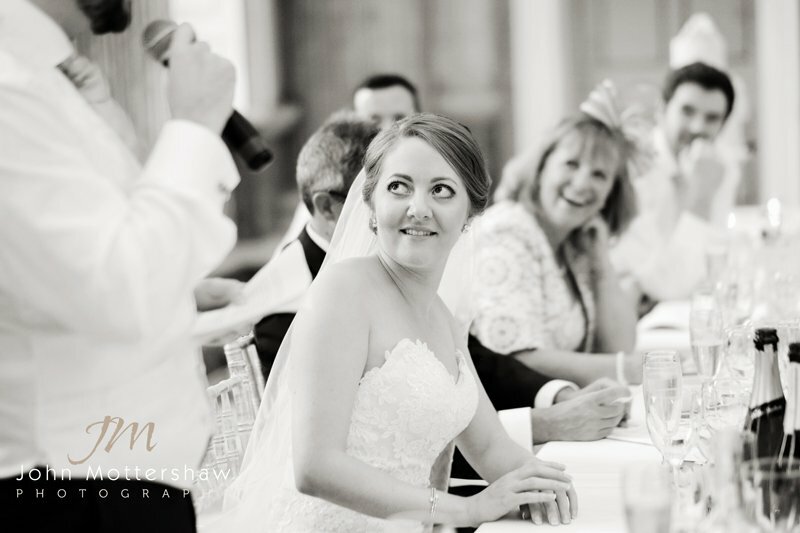 I have a relaxed and informal approach to your wedding which I hope shows in the pictures of Jess and John’s wedding day.